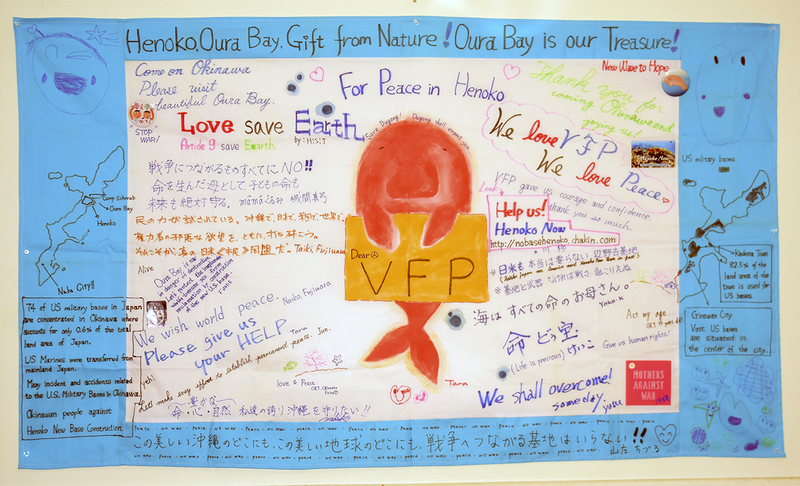 Here are some comments about our recent trip to Jeju Island and Okinawa by four Veterans For Peace members. As a war veteran, an activist and advocate in a number of social causes, never before in my experience have I felt so overwhelmingly humbled and outraged. I leave Jeju emotionally drained and completely in sync with my VFP brothers/sisters in peace and the brave people of this island. Jeju Island is such a beautiful pristine paradise with drinkable springs, coral reefs, and rare dolphins. The construction of the base is an environmental catastrophe! It has also displaced the homes of many people. This is supposed to the an 'Island of Peace". The last thing the world needs is another military base. The local people protesting at the gate [Jeju and Okinawa] are filled with such passion, integrity and strength in the face of adversity. It motivates me to continue to stand for what is right and to be a voice for those who are oppressed. I was extremely grateful for the opportunity to travel to Jeju and to Okinawa to stand in solidarity with the victims of American imperialism on the "frontline." The consequences of our vast military empire has long been an abiding issue of mine. I don't think we can avoid bearing some responsibility, as citizens of the empire, for what is being done in our names---and the more we know, the more it becomes incumbent to take some action in response. Standing with the victims of this most drastic manifestation of imperialism and subsequently bearing witness may be of little consequence, but there's always the "ripple effect" and "changing one mind at a time." So, being "at the gates" was the most memorable aspect of the entire experience. On balance I thought both of the segments, Jeju and Okinawa, were incredibly rich and valuable. Not having been to Okinawa (in this capacity) before I learned a great deal about relevant history and the current situation. I came away feeling blessed for the experience---particularly for having been able to "stand in solidarity" with the victims of each community. 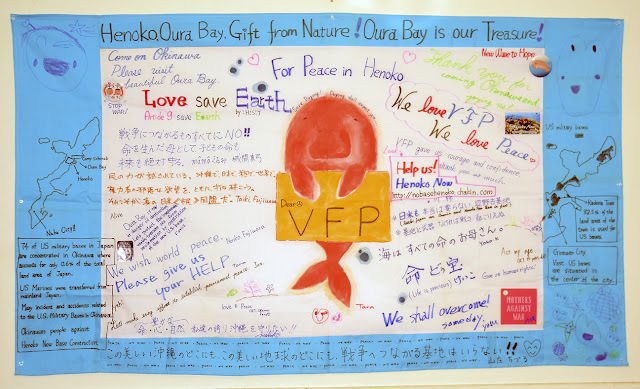 The VFP delegation to Jeju Island, South Korea and Okinawa, Japan was a huge eye-opener, as an American but more so as a US military veteran. The trip has personally changed my life and I've learned that achieving the goal of global peace is more necessary than ever before. Until our trip to Asia, I've only had the chance to research these issues. Now, I've had the chance to personally witness the detriment the US military is bringing upon other nations and people. War, and the preparation for war, must stop now! After receiving such great support from the people of Jeju and the people of Okinawa, I now feel stronger than ever to face this struggle of global peace. I am now 100% a global citizen. Their struggle is our struggle.